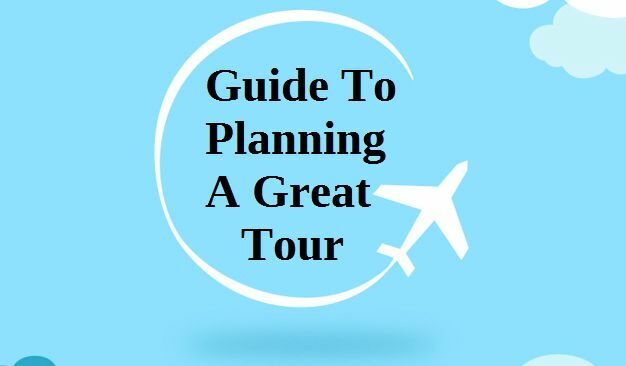 Think about how you are going to go on a tour well in advance. This is the tip that is going to matter when it comes to measuring your options. You want to think about where you want to go and how long you are going to stay. This can help divide the itinerary up in a fair manner for you to have fun. No one wants to be rushed and you can work with your schedule to fit in the areas you want to see. This is what organization is all about with a tour such as this. Spend more time in a few places to avoid burnout and blowing your budget. Talk to the locals as they have they can give you the best travel advice and insider knowledge on what to do, see and eat. Do the free or extremely low-cost stuff especially if you want to save money when you travel including taking a walk, climbing a mountain, swimming at the beach or lake, catching a magnificent sunrise, visiting a market and so on. Have more than one-way access to your money. Have a combination of credit cards, debit cards, travel money cards, and cash. There’s no denying the benefits a good travel agent brings to the table. They can figure out what type of vacation or tour fits your personality, interests, and adventure level (or lack thereof) the most, and help find deals that go deeper than an Internet search – helping you to get incredibly original experiences at lower prices. Travel agents also gain their reputation from the quality of their connections. They might create opportunities, experiences, and options that you simply won’t have from booking your own tour and your own events. Take advantage of even better travels! You are about to visit the capital of the province of Heredia, Costa Rica. Heredia is also not far at all from the capital city of Costa Rica, San Jose. You might want to plan on getting to both areas of this beautiful country. As you plan out your vacation to the capital city of Heredia, get your lodging booked and check out these places of interest and things to do. Bosque de la Hoja is the #1 ranked place of interest to visit, and it is located at Valle Central. Did you bring your pets with you? This place is great fun for the entire family, and there are barbecue facilities that you can use to help make that picnic even more fun. It is also a nice place to take a drive, and just wait until you get to feast your eyes on the views. Museo de Cultura Popular is located between Heredia and Barva. Reviews say that in order to get there, all you have to do is follow the signs. You can also take a bus ride to the museum, which would, of course, make the navigation part much easier. One reviewer talks about this being a place to gain great insight into the way the people live there. This is an open-air museum that is said to be quite an informative and enjoyable experience. There are also sightseeing tours that you can take so that you can see more of Heredia. Then there are nature and wildlife tours, too. You might want to get in touch with the Refugio de Vida Silvestre. This is a hiking adventure in the mountains, and the scenery looks absolutely gorgeous. The walking tour is said to last a couple of hours. You can also take a Costa Rican Safari and book other awesome adventures, too. Then there is Casino Fiesta. Do you feel like hitting up the casino? Now that’s a little different for sure, after being out in nature. Experience everything that you can while you are in Heredia. You also have the option to go rafting and tubing. This adventurous vacation is going to be one full of memories, and don’t forget to look at what all you can do in San Jose as well. Remember, you are really close to San Jose, and you might just want to say that you have been to the capital city.